Say it ain’t so!! Sorry, but all those rumors that home values are finally rising again are just silly rumors. Values are slipping less than before, but, countrywide, values continue to decline by about 1/2% per month. As always, location is terrifically important. It matters greatly where your home is located or where you want to buy. Some areas are tanking while others are increasing slightly. So, which is which? Do we want the good news or the bad news first? Let’s mix it up a bit. S0me local areas that continue to sink in value include Pomona down around 10% in all ZIPs to around a median of $200,000. El Monte took a pretty big hit dropping about 18% to a median of around $250,000 in all ZIPs. Remember the Station fire? Buyers apparently do as La Canada Flintridge values are down 27% to a median of $876,000. La Puente which has already lost huge value has sunk to a median of about $250,000 across all ZIPs. Trendy during the boom, both Highland Park, Eagle Rock are down substantially [18% and 32% respectively, to medians of $286,000 and $365,000]. So, is there any good news? Well, yes, some local areas are doing quite well, thank you very much. Glendora has slipped less than the county average to a median of $378,000 in 91740 down 2% while 91741 is down almost 7% to $470,000. LaVerne is down 4%, less than the county average to a median of $420,000, though San Dimas has sunk 25% to a median of $378,000. Covina dropped by about the county average across its ZIPs to about $330,000. But, there are a few standouts. Altadena has posted a healthy 23% gain over last year to a median of $517,000. Alhambra in 91801 and Monrovia are up by about 1% to a median of $549,000 and $490,000 respectively. Alhambra’s other ZIP is down about 1% to $426,000. But, buyers are also flocking to Arcadia, up 8.5% to $807,000 and up 17% to $970000 in 91007. Then, there’s Pasadena also a winner overall. This is where buyers seem to want to live and they are driving up the prices. 91103 is up 5% to $405000, 91104 and 91107 are up by whopping 23% and 26% to medians of $550,000 and $670,000, 91106 is up 1% to a median of about $1.1 mil–not bad! 91105 is the only Pasadena loser, down by a substantial 28% to $675,000. What about trends? Any new trends across the county? It’s a bit early to say, but it looks as though more pricey areas, especially at the beach are starting to lose value. Palos Verdes is down 44% to a median $1.17 mil along with Rancho Palos Verde down 20% to $850,000. Manhattan Beach is down slightly to a median $1.139 mil. Malibu is down 36% to a median of $1.363 mil. Why might this be happening? Rich folks may be different from you and me, but they can count pretty well. Being underwater by $200,000, $300,000 orn $400,000 just doesn’t make economic sense even if you can afford the payments. Better to just walk on by, and that’s what many wealthy home owners are now doing. My big prediction? More will do the same in 2010 as prices continue to decline. Buyers today, rich or moderate income, are all interested in only one thing: value for their money. Pasadena appears to offer that–at least for the time being–while Malibu does not. Well, the beat goes on and on…Home prices are still falling, marginally, and the spring/summer sale mood has definitely kicked on. Some, highly desireable, areas, such as Pasadena, are experiencing fast sales and multiple offers, but mainly in the starter homes which in the Rose City means $300,000-$400,000. For the county as a whole, median values are now $295,000 which, as mentioned frequently here, lacks much meaning for those living in the so-called “desirable” areas since that depressed figure is largely generated from massive losses in a localities-Palmdale [down in one ZIP 57% to an incredible $53,000 median home price], Watts [down 50% in one year to median $130,000], Littlerock [down 52% to $100,000 median] or Compton [down 60% to about $140,000]. In other words, the main pain is being felt either in outlying areas of the county or in traditionally lower-priced sections. These massive drops in value are forcing the median of the whole county down. So, where are the “desirable” areas which have suffered less? Well, La Verne, for one, is down only 4.6% since last April with a median of a healthy $475,000. Claremont is down only 2% with a median of $545,000. Arcadia is down 7.4% to a median $766,000 in 91006 and UP 11% to a median $929,000 in 91007! Temple City is UP 3.9% to a median of $530,000. Other cities in L.A. County, too, are either showing positive gains over last year or only modest losses–Alhambra is up a tick to median $520,000; Sherman Oaks is up 3.2% to a median of $813,000; Van Nuys is up 4.4% to a median of $473,000 in ZIP 91411, though, admittedly its other ZIPs are all showing losses between 25% to 30%. Other “desirable” area are quite predictable. Most beach cities are up: Malibu, up 5% to a median $2,000,000; Manhattan Beach up 6% to $1,500,000 median; Redondo, up about 10.5% to a median $990,000 in ZIP 90277 and $708,000 in Zip 90278; Marina Del Rey, up 21% to $955,000, Palos Verdes Peninsula is up 16% over last year to $1,825,000. Only Hermosa Beach has declined a smidge [-5%] to a paltry $1,785,000, based on very few sales. Must be tough! See the trend? Southern California property is still hot, just not all of it. People are running like mad to buy beach city properties which haven’t been this low-priced in awhile. In fact, there’s a bit of a buying fever in these areas which is also reflected in other affluent cities, such as San Marino [down only 3% to $1.4 million median], parts of Pasadena [91106 up over 60% to a median $800,000, based on very few sales] and certainly Glendale which over its seven ZIPs ranges from up 10% [91202 median $692,000] to down 33% [91204 median $399,000 based on too few sales] to down 4.5% [91205,91206 with medians $528,000 and $578,000] . All of these cities are making respectable showings with hefty median prices, especially when compared to the rest of the country. We are still prohibitively expensive for transferees from other states. Other parts of the county are down, just moderately…Glendora is down in its two ZIPs about 20% to a median of about $400,000, and sales are numerous and brisk. San Dimas is a great bargain–down 35% to a median $350,000, again with brisk sales. West Covina is down in its three ZIPs about 20% to a median of around $350,000 also with brisk sales. Covina is down a tick below 20% to a median of about $360,000 across its three ZIPs, again with eager buyers recognizing a bargain when they see one. The pain is not over, though we can see tiny points of light here and there. Homeowners who are not “upside down” or owing more than the value of their home are well advised to sit tight. Living in a hard-hit area, though, many homeowners have seen their down payments and equity vanish as if by magic. For these homeowners, loan modification or short sale are probably the best bets. Homes that the first to decline and which decline the most are usually the last to recover…unfortunate, but true…. Thanks to The L.A. Times and MDA Dataquick for the data. Well, as we’ve all been hearing, it’s been another bad month for the nation and for L.A. County. Prices are heading–you guessed it!–DOWN, DOWN, DOWN. In fact, year over year, prices have fallen 35.7% countywide. The median home value is now $340,000. Of course, the drops are greater in some areas than in others. In general, working class areas are most likely to show the greatest declines and more affluent areas the least. Statisticians are telling us that until now lower-priced areas have lost 44% of value while upper-income areas have lost 22%. That is a reflection of the ability of the rich to cushion the blow. They have more resources to call upon when times get tough. Lower-income folks are more likely to live paycheck to paycheck with no real savings in case of a downturn. Thus, we note that in our San Gabriel Valley Azusa is down 30.9% to a median of $280,000; Altadena is down 28% to a median $420,000. Baldwin Park dropped 31.9% to $274,000, Covina is down over 30% to $330,000, Duarte has dipped a whopping 42% to a median of $280,000, and La Puente is down over 32% to a median of about $275,000. Pomona is still Heartbreak City for our area, though, with drops of 49% and 40% to a median of $230,000 in 91766 and 91767, and to 44.6% in 91768 to a median of $210,000. This is truly horrible and is producing a sea of human misery. Still and all, other areas of L. A. County are doing far worse. In one ZIP in Palmdale prices are down 64.9% to a median of an unbelieveable $80,000. Other Palmdale areas clock in a medians of $253,000 and $129,000. With prices like these, you know that remaining home owners are going to bail either letting their homes go to short sale or into foreclosure. The lower-priced homes are now in many areas priced below replacement value. So, in other words, prices cannot fall too much further. So the previous situation of lower-priced homes taking the greater hit in home values we are told, is about to change. This downturn is so severe and so intense that now the wealthy are also starting to lose their homes in greater numbers. Some of that is due to true economic hardship. After all, the wealthy are the business and shop owners whose sales are down the drain and the executives who are being downsized. Eventually, with businesses failing, they run out of money as well. And, as homes in more affluent areas begin to lose value, many owners question themselves: why am I sitting here paying on a $600,000 mortgage when my home is now worth $350,000? Sometimes it’s a business decision to let the home go…It is cheaper to rent the same house, perhaps as much as half as cheap, especially in good areas which have many foreclosures, such as Corona or Rancho Cucamonga. Fear not, though, these massive foreclosures are coming to L.A. County as well. Areas in L.A. County which until now have maintained are starting onto that downward spiral. In our area, affluent Arcadia has declined 22.5 % in 91006 to $420,000 while 91007 is down 26.2 to $830,000. These are significant drops. San Marino with only a few sales is also down 25.5% to a median $1,250,000. Sierra Madre is down 24.6% to a median of $660,000. Glendora 91741 is down 31.8% to a median of $505,000 while 91740, only partly in Glendora school district, is down 18.7% to $386,000 median. San Dimas is down only by 9.8% to a median of $508,000. LaVerne is down only 13.9% to a $439,000 median. Claremont is down 9.6% to $520,000. These postings show these cities are holding their value well in comparison to the rest of the county. For this, east Valley residents can be grateful despite losing whopping amounts of equity in their homes. What does the near future hold for our county? I’m afraid it’s more drops in value, especially among the more affluent areas. Until January 9th, Freddie and Fannie have declared a moratorium on foreclosures both to get everyone through Christmas as well as to allow banks to catch up. Once the moratorium period is over, we will see a tsunami of foreclosures right here where we live. Even a new President will be powerless to stop it. Locally, the rate of foreclosures continues to rise. Previously, the worst of the crisis seemed limited to Riverside and San Bernardino Counties, but, little by little the foreclosure boom has extended to the San Gabriel Valley as well. For some quick examples, let’s look at one of the worst hit areas, Azusa with 27 foreclosures priced from $159,900 to $659,000. As noted here previously, an obvious place where foreclosures will be widespread is anywhere with many new homes. Voila Azusa where home builders have flooded the market in the past 5 years. This is one reason so many foreclosures are occurring there. Covina is another foreclosure hotspot with 30 currently on the market ranging in price from $184,900 to $729,000. Single family homes priced below $200,000 are still a rarity, so the lower figures are usually condos. In West Covina currently 48 repos are on the market, priced from $205,000 to $527,000. Even pricey Walnut has 6: $209,900 to $994,900. Prestigious Claremont has 9 priced from $237,500 to $489,900. LaVerne has 6 foreclosures for sale. San Dimas has 8 priced from $269,900 to $631,659. Glendora also has 6 with prices starting at $297,000. In the western San Gabriel Valley fewer new homes can be built as the area has been built up for a long time. Nevertheless, here as elsewhere, foreclosures are abundant. 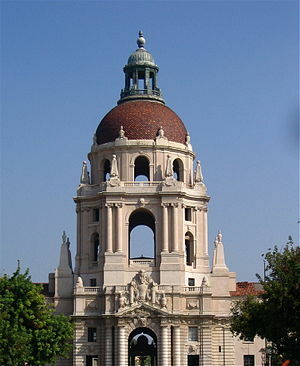 Our largest city, Pasadena has 32 on the market ranging from $219,000 to $649,000. Monrovia has 10: $220,000 to $579,000. Altadena shows 12 REOs, priced from $190,000 to $565,000. Tiny South Pasadena has 3 and Arcadia has 4. Economic woes have hit Duarte a bit harder and it shows. Duarte has 16 foreclosures ranging from $106,900 to $474,000. As always, though, the title of Heartbreak City goes to Pomona which now has 119 foreclosure listings, priced from $106,600 to $454,000 for a lovely 4-bedroom in Phillips Ranch. Besides our own misery, we also know now that nationwide 12 million homeowners are underwater or owing more than their homes are worth. That is definitely true here as well where on average prices have dropped 25% to 30% over the last year, creating many more “underwater” homeowners. Of course, that presages more foreclosures in the future as these homeowners bail out of their now way overpriced homes. As always, the biggest drops, up to 50% and even above are in Lancaster and the Antelope Valley. Add to that Watts with a 52% drop to a median of $196,000, Compton and other parts of the City of Los Angeles. Similar blue-collar areas in the San Gabriel Valley did better, though it’s still catastrophic. El Monte dropped by about 20% to a low of $350,000; South El Monte took a 30% hit to a median of $342,000. LaPuente is down 35% to about $300,000. Baldwin Park is also down 30% to a median of $300,000. Azusa clocks in at 30% down toa median of $320,000. Pomona averaged over a 30% loss to a median of about $300,000. Duarte is holding up surprisingly well, having lost only 18% to a median of $392,000. A big surprise is Hacienda Heights which has lost 40% of its value, down to a median of $392,000. Other cities in the San Gabriel Valley aare dipping below the L.A. County median–West Covina to about $399,000, Whittier with five residential ZIPs has three averaging around $350,000, but 90602 and 90603 while still losing 20% in value show median prices of around $475,000. Pasadena, our largest city, is also a mixed bag. Altadena has dropped by 24% over last year, but still posts a median of $524,000, well above the county average. Southwest Pasadena posted an eye-popping 50% increase in value to a median of $1.250,000, while Pasadena 91103 which includes Linda Vista dropped a stomach-churning 58% to an average of $446,000. So, which areas are still making it? Well, San Marino, not unexpectedly, is still raking it in with a 22% rise over last year to a new median of $1,699,000. Obviously, some buyers are still out there. South Pasadena jumped over 50% to a new median of $1,270,000. Collapsing freeways running through the town apparently don’t deter the very well-off. Our previous champions, Palos Verdes and Rancho Palos Verdes, both have now dropped about 5% to just above the $1,000,000 median mark. Must be tough. Our own Glendora, San Dimas, La Verne are not doing too badly. Glendora has dropped by about 8% to a median of around $480,000, while San Dimas has dropped 15% to $450,000 and La Verne has plummeted 28% to a median of $479,000. Covina is down around 20% to a median of about $400,000. For Southern Californians, the short answer: right where you live. In the San Gabriel Valley, homes which are REOs, short pays, NODs, short sales or corporate owned are everywhere. In fact, at this point, they are the only properties selling and often even these bargain properties offered far below the prices they sold for just one or two years ago are on the market 100 days or more. Just where are these properties? Here’s a short list compiled in haste from the Multiple Listing Service [MLS] access to which I offer on my website www.DianeButler.net. These are amazing prices that we haven’t seen in this area for literally years. $105,000? Wow! Many of the cheapest listed here are one-bedroom condos, but, still, a year ago even they were commanding prices over $200,000 or $300,000 pretty much everywhere. 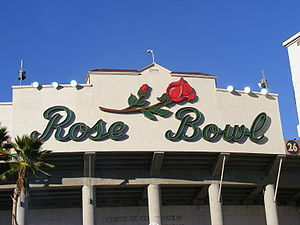 Pasadena ,by far the largest city, so has a very large number of foreclosures. That $185,000, by the way, is a studio. Still. Rancho is also a large city, but 319? That is what it is like in San Bernardino/Riverside County, as delineated here previously. To my mind, some of the most undervalued homes and so the best deals are in Covina which with 77 repos is out of step with the other foothill communities. Azusa is another surprise. Most of the repos concentrate at the lower end, but there are some truly beautiful homes in the mix, many with 5 bedrooms and commanding views of the valley. Despite these prices, however, many of these homes listed at seemingly rock-bottom prices are not selling. Right now is a fabulous time to buy. Among these repos are some fantastic values which will not get any better. Like anything else, the buyer who gets the great deal needs to do his homework and plod through those 319 listings in Rancho to find the real gems.